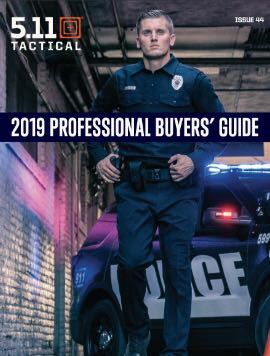 5.11, Inc., doing business as 5.11 Tactical ("5.11"), designs, distributes, and markets high-quality products for tactical customers and government agencies and these products are marketed through a network of approved retailers. Effective May 1, 2002, 5.11 instituted a minimum advertised retail pricing policy (the "MAP Policy") relating to its line of products. Significantly, the MAP Policy does not affect a retailer’s actual resale price and it does not require, nor is it intended to discourage retailers from selling products at, above, or below 5.11’s suggested retail price; each retailer is expected to independently determine the price at which it sells 5.11 products. The MAP Policy is simply a unilateral statement that has been adopted by 5.11 with regard to the advertising of the prices for 5.11’s products. From time to time, 5.11 will identify minimum advertised prices ("MAP") for its products in the Price List provided to retailers. Thereafter, all prices advertised by retailers must be at or above MAP. The MAP Policy applies to advertised prices at physical retail locations, in catalogs and other printed materials, via electronic mail, on broadcast media, and on Internet websites. With respect to the Internet and websites, all information regarding products prior to the point of sale is considered advertising and subject to the terms of the MAP Policy. For the purpose of the MAP Policy, the "point of sale" is defined as that level or page at which the product can be purchased by placing it in the shopping cart or equivalent. Any pricing information displayed at or after such point is excluded from the provisions of the MAP Policy. Resellers are responsible for ensuring that their advertised prices on Internet search engines are at or above MAP. In connection with the promotion of store–wide, category–wide, or other general discounts that have the effect of promoting 5.11 products below MAP, 5.11 products must be explicitly excluded. Close–out, discontinued, and/or blemished products are exempted from the MAP Policy; provided, however, that such products must be clearly identified as such in all advertisements. 3. the discontinuation of supply of affected products and/or the discontinuation of retailer’s status as an authorized reseller of 5.11 products. All determinations will be made unilaterally by 5.11 in its sole discretion. No employee of 5.11 is authorized or permitted to request, demand, or accept any assurances of compliance from any account with regard to the MAP Policy.